There are Four Ski Area Open for Saturday. Three Will Operate on Easter Sunday before Closing for the Season. This shot from the Basin at the foot of Snowshoe and Shavers Lake is always a great one. Click to Enlarge! I suppose the “glass half full” thing to say this morning is ‘Good on all four ski areas that are offering their fans another day or two of playing on the snow this weekend.’ The ‘bah humbug’ in me says that there should probably only be two open today with quality of snow sufficient enough to ski or ride. However, those few souls who I saw either in person while driving by Sugar a couple of times on Friday, or via the LIVE cams throughout the day are more than a little bit thankful that all four are offering even the slimmest of trails to play on. Admittedly, I’m probably not worthy of this ‘SkiSoutheast’ keyboard right now as I have been hit by the “Spring Fever bug” and all I am thinking about is getting some Spring jobs done around the house so I can get out and start working on my boats and enjoy what I hope will be an awesome, long, hot summer at the lake. As I read some of your emails over the last few days I have to tip my hat to those of you who simply (and understandably) just don’t want the ski and snowboarding season to come to an end. Here’s a quick glance of each of the four resorts open today. 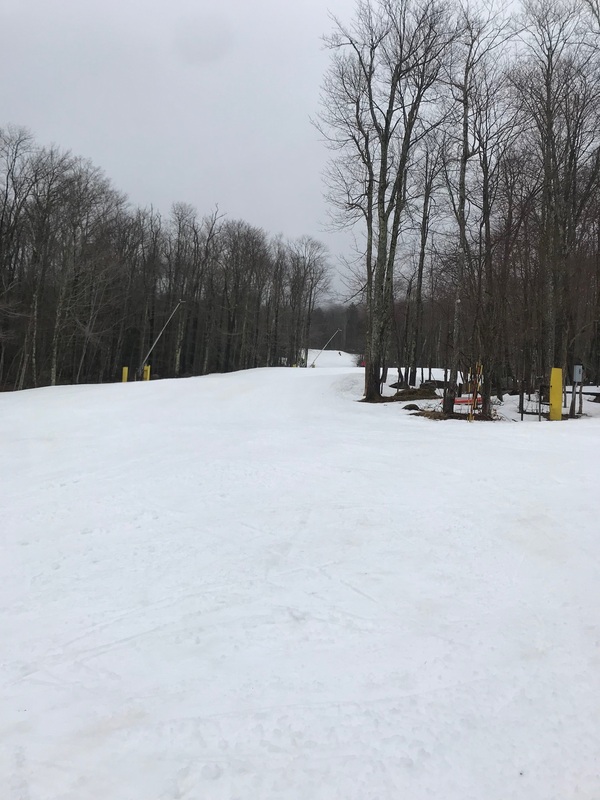 While we only received a light dusting of snow overnight, the trails are in great shape as cold temperatures allowed the snow to set up nicely for our groomers. 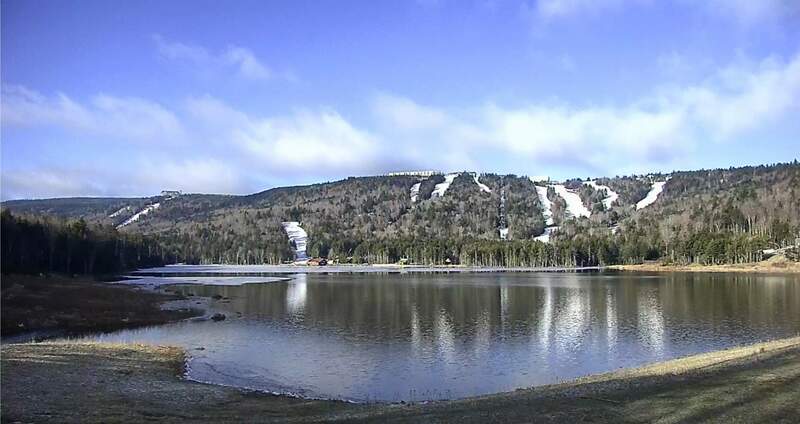 Sunshine and classic spring skiing conditions are expected to chase the cold temperatures away this morning. The weather for closing day tomorrow looks less rad, but we’ll cross that bridge when we get there. Evolution Park is open with a full build so all of you jibbers and jumpers be sure to check it out. It’s not too late to get a snowmobile tour! Stop by the Depot or call 877-441-4386 to book yours today. Snowshoe STILL has good coverage! Click to Enlarge! 40 trails are still open and note that they are STILL doing snowmobile tours! Sean Mahoney sent this shot at the Top of Cupp Run on Friday. Click to Enlarge! Another shot from Friday at Snowshoe. Click to Enlarge! One of our readers, Sean Mahoney has been updating us with nice reports throughout the season (thanks Sean!) 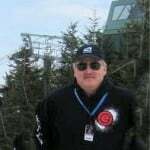 and he shared some good photos from Snowshoe on Friday and he also gave a shout out for others to join him! It is still really good. Even tho the rain came thru, it is getting ready to change to snow. The wind has shifted and it’s getting colder!!!! Top of Cupp is way better than a month ago! Tell the readers to get up here as it’s still really good!!!! Don’t have to Sean; you just did! 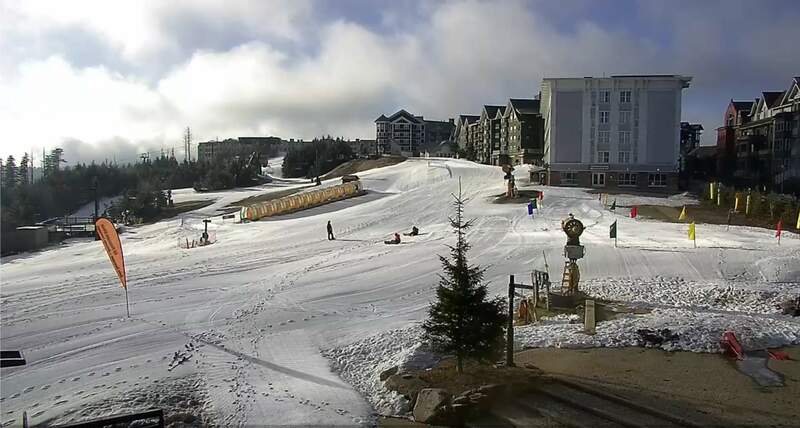 Bryce Resort – down to 3 slopes and 2 lifts for this – their last day of ski season. 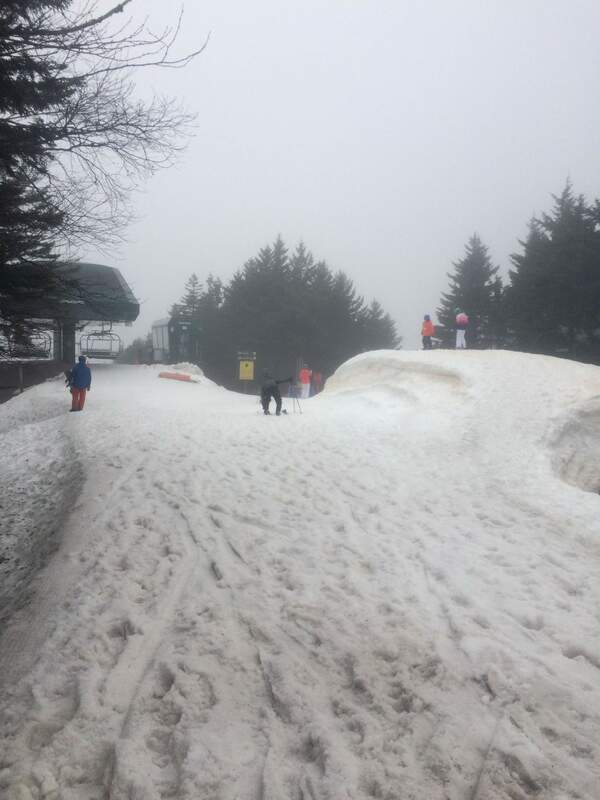 Cataloochee Ski Area – LOOKS like they are closed already as their base camera is down. Things actually looked pretty decent (better than at Sugar and Bryce) there yesterday. Cataloochee says they are open with 4 slopes – one intermediate and three beginner on a base of 14-34″ on a machine worked surface. They have two aerial lifts operating. Offers one session of skiing, day skiing from 9am-4:30pm with a morning or afternoon half day rate also available. They will be closing for the season at the end of the skiing day on Saturday, March 31 at 4:30pm. Sugar Mountain – 7 slopes open for day and night sessions. Burning of the snow and other fun takes place Sunday, closing day. Enjoy your Holiday my friends. I will be wrapping up the season tomorrow and over the days ahead and then we’ll put this “puppy to bed” until we crank things up again in August or September…depending on the news worthy to share. Next articleThe Last Day of the 2018 Ski & Snowboarding Season in the Southeast is Upon Us.